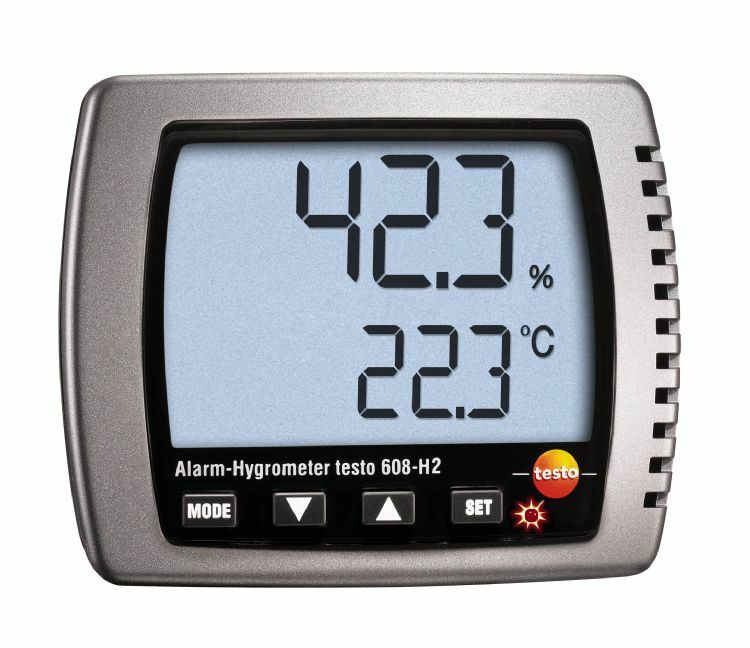 The testo 625 thermohygrometer equips you for all situations where the right indoor climate is crucial, for example air temperature and relative humidity in archives, storerooms, greeenhouses and buildings. 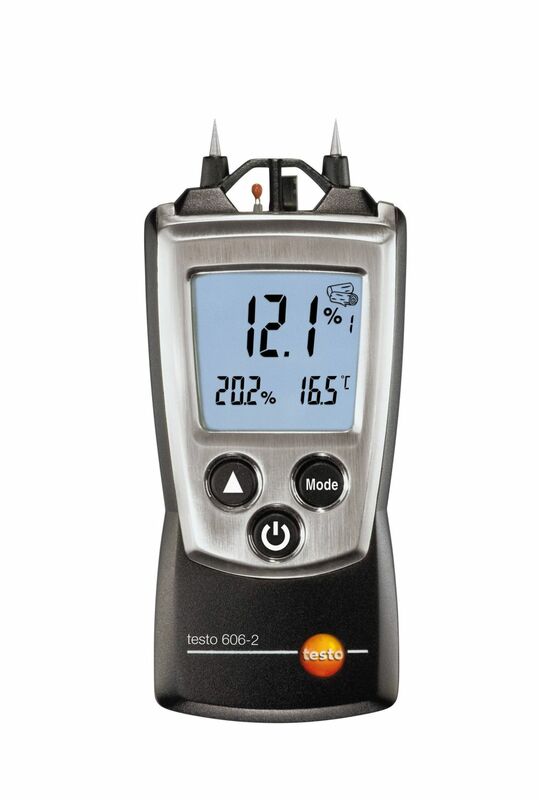 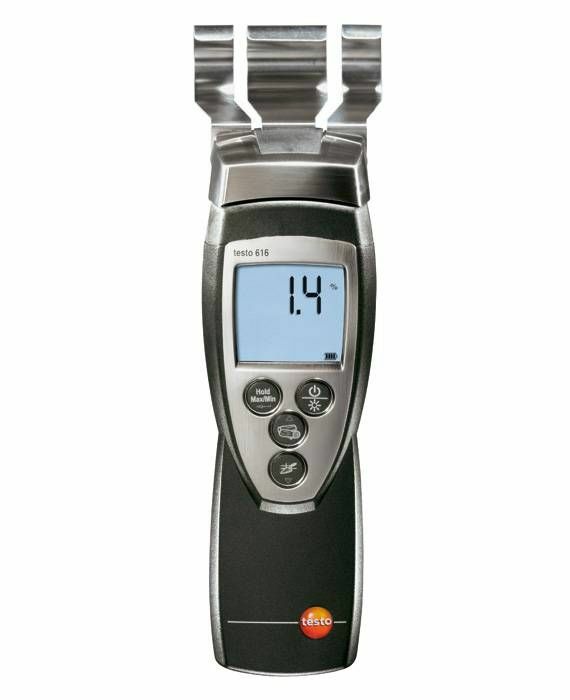 The testo 625 also calculates the dew point and wet bulb temperature quickly and accurately. 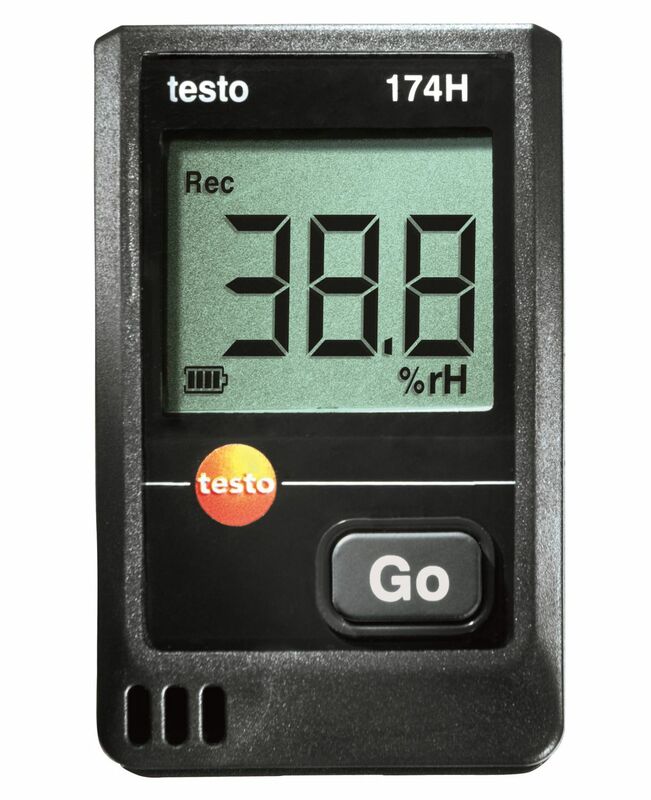 The testo 625 compact thermohygrometer has a connectable humidity sensor which measures the air temperature and relative humidity. 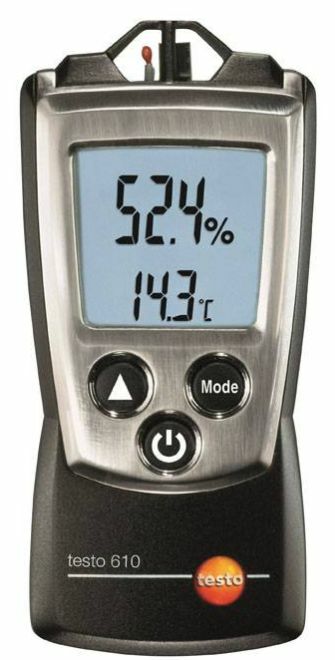 In addition, it also calculates the dew point and wet bulb temperature.The meter is equipped with a large, easy-to-read, backlit display, a hold function which allows you to freeze the last reading and min and max readings that can be displayed at the touch of a key. 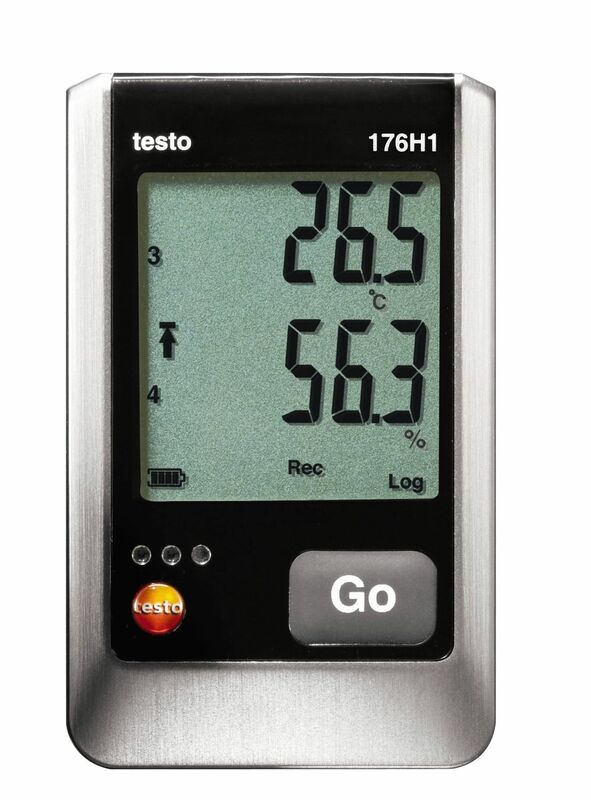 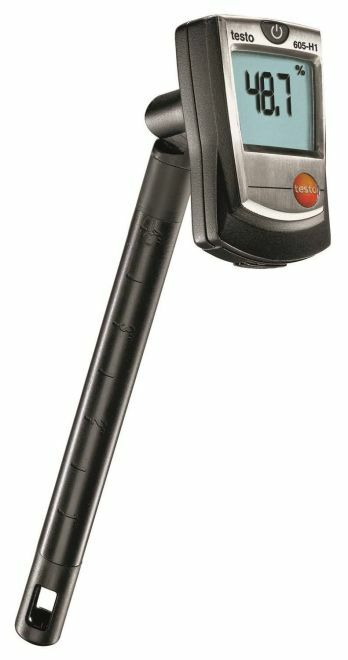 In addition, the testo 625 has a battery-friendly power off mode and a long life moisture sensor which ensures best possible results for years to come. 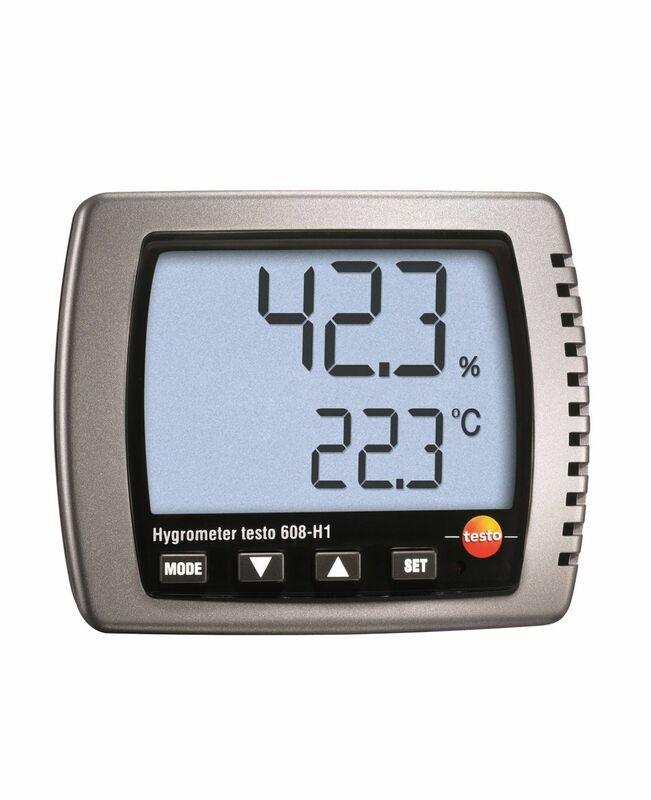 • Wireless hand grip: connect the humidity sensor to the wireless hand grip (optional) and equip your thermohygrometer with the wireless module (optional) to carry out wireless measurements. 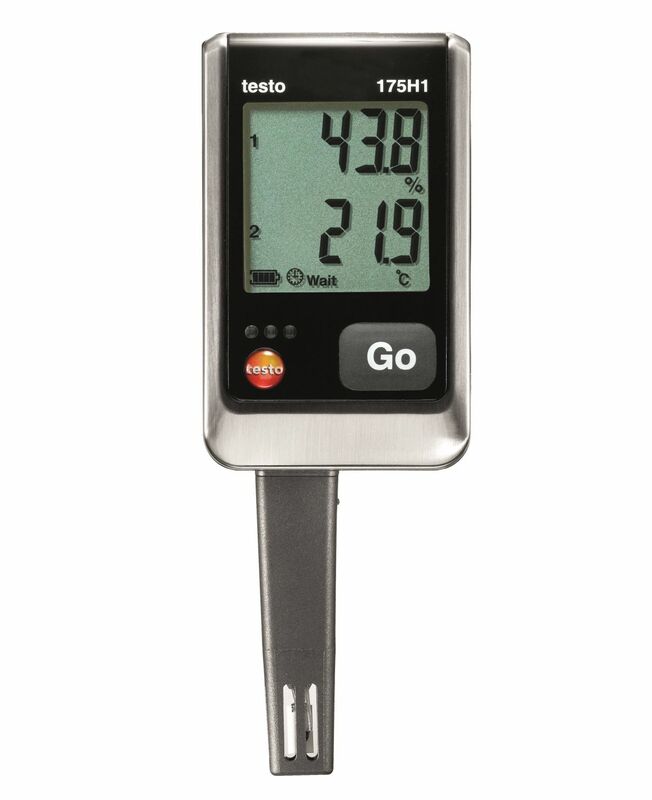 The measurements can be transmitted wireless from the sensor to the meter over a distance of up to 20 meters (in the open). 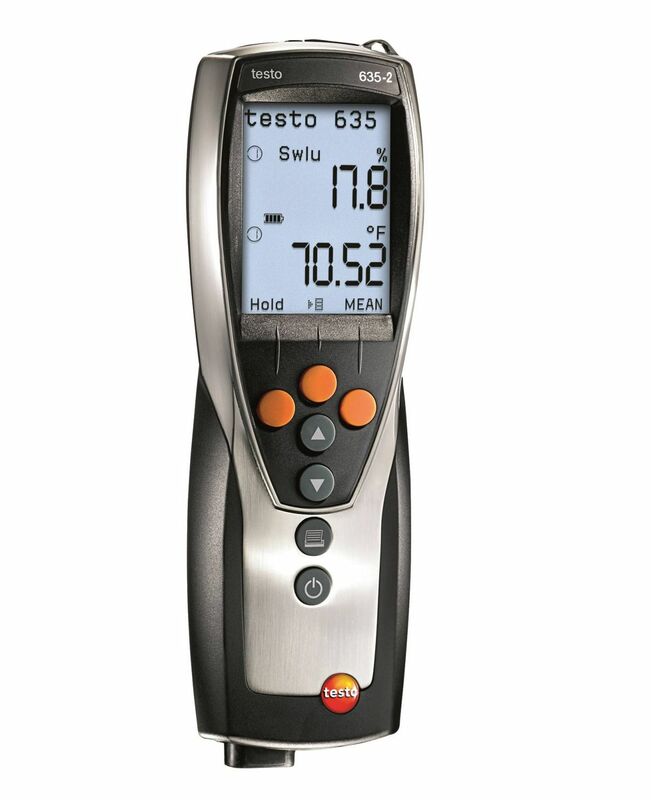 • Protection against dirt and shock: a carry case (optional) ensures that your meter and the sensors are safely stored away when not in use. 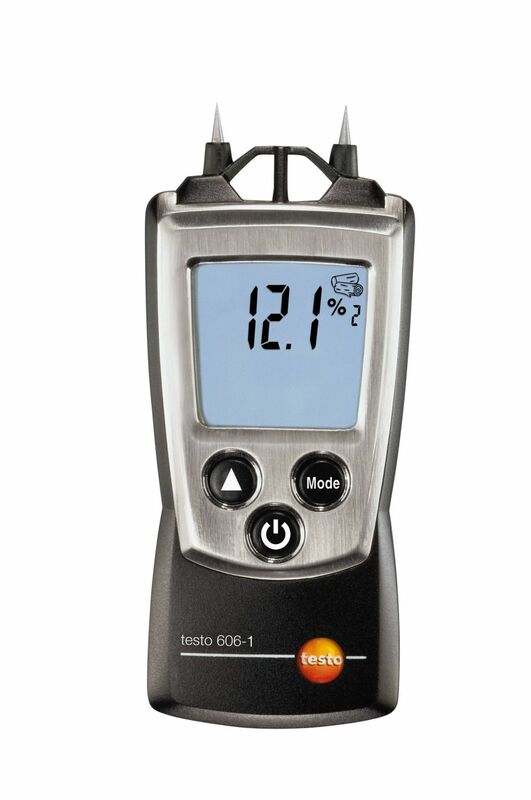 The durable TopSafe protective case protects your meter effectively against dirt ingress and impact.